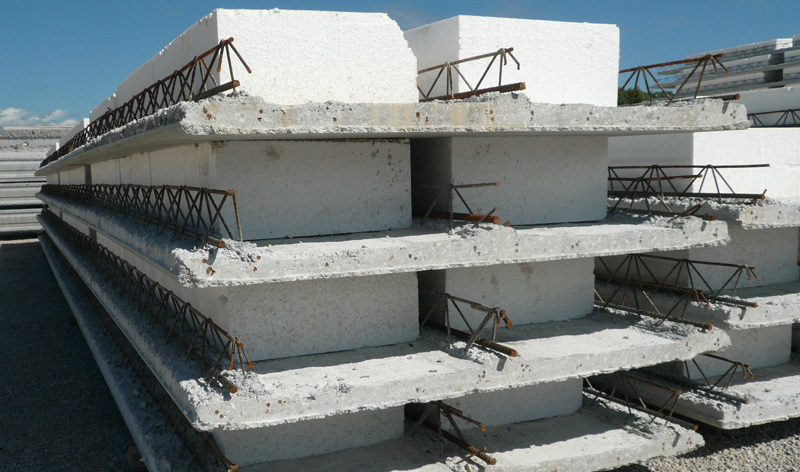 Filigree Slabs are prestressed concrete elements that have a constant cross section. 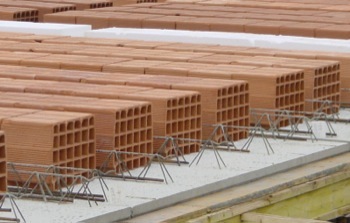 They are manufactured using high tensile strength prestressed strands or single wire which are embedded within the element. Filigree Slabs are used as covering elements in residential and social construction. A floor is usually made of lattice slabs with hollow blocks (concrete or clay) or polystryrene in-fills. 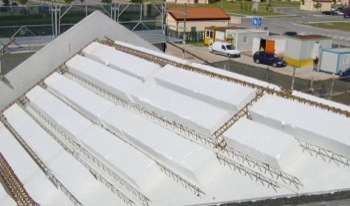 The in-fill blocks can be mounted in 2 steps. 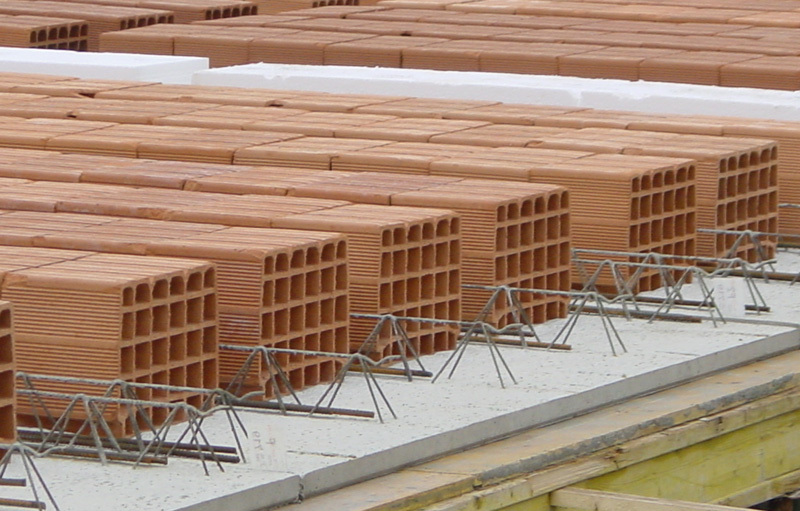 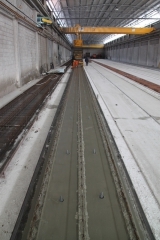 The in-fills keep the weight of the floor to a minimum and are then covered with in-situ concrete to form the ribs and the floor slab. 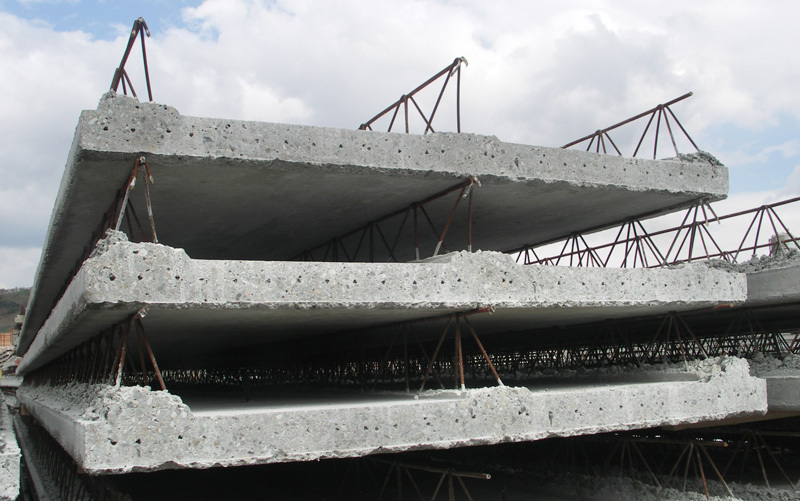 As well as the prestressed wire reinforcement the ribbed slabs have steel mesh embedded in the lower part to further increase the element strength. 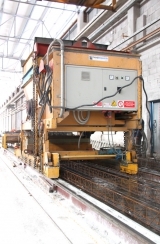 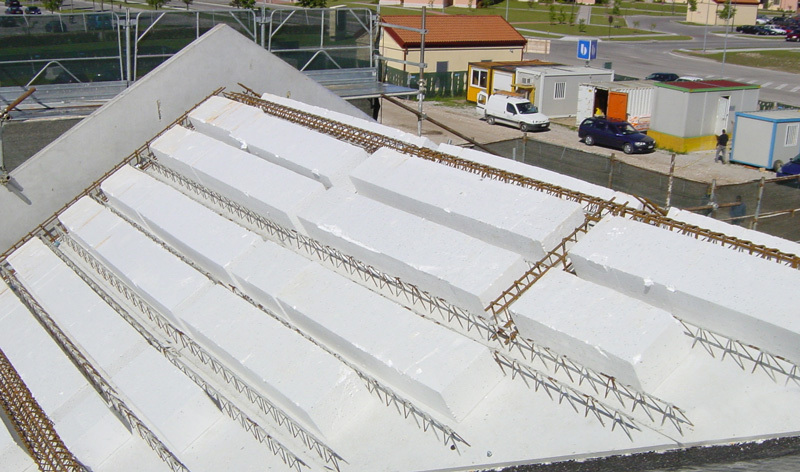 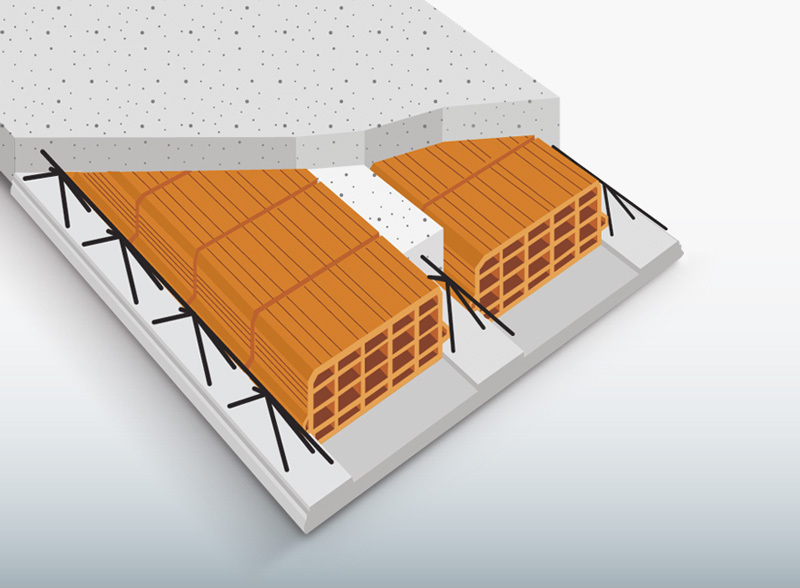 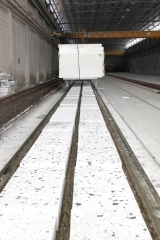 To ensure adequate fire resistance the slab can be manufactured with a different thickness of the lower part to give a greater concrete covering of the steel reinforcement.